A nerd is someone who is usually highly intellectual about a specific field while exhibiting socially abnormal, sometimes undesirable or generally introverted behaviour. Someone like Sheldon Cooper from The Big Bang Theory would be a good example of a nerd. A geek, however, is someone who thoroughly enjoys and is highly knowledgeable about a particular interest or hobby. Most people are geeks. From body-building and sports to video games and superheroes, every person is a geek in some way or another. 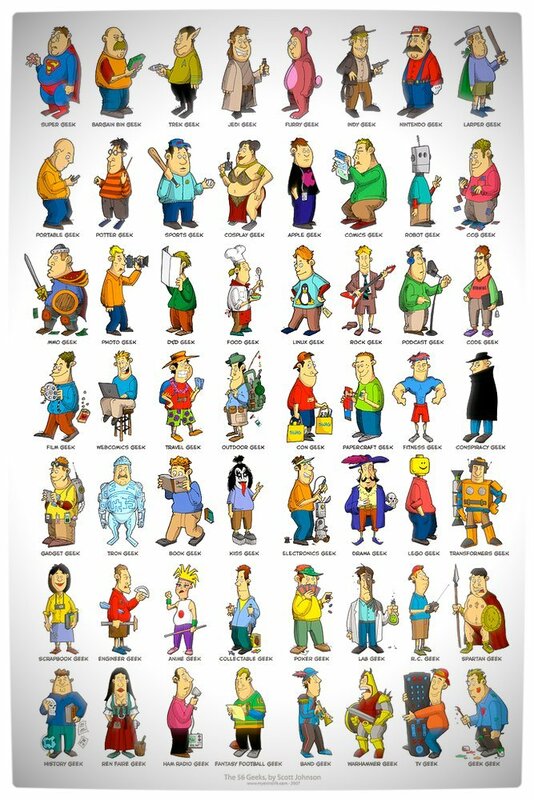 The chart below was created by The Frog Pants Store and is a great showcase of the different kinds of geeks that exist. Which geek are you? Tell us with a comment on this post.